Daniel House summarizes a heart-breaking 31-30 loss to the Chicago Bears on Sunday. What went wrong and is it too late to dig out of a 0-2 divisional hole? He explains this and more in his latest post. This trend is beginning to get old for Vikings fans who have been passionate about this team for a long time. How can we continually be so close to winning crucial ball games, but fall short each and every time? Last week, I wasn't pleased with the effort from this team and quite frankly was critical of the coaching staff. Has anything changed? This week the players played with more passion, but our coaches let us down again en route to a 31-30 loss. In week one, we couldn't stop anything Detroit threw at us from a schematic standpoint. This week, we improved, but our offensive coordinator cracked under pressure. 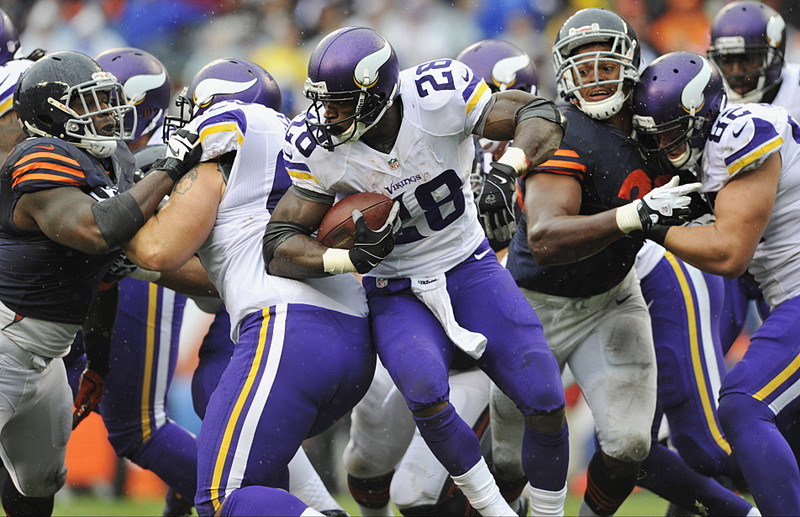 The Vikings faced a third and goal situation deep in Chicago territory and ran the football with Adrian Peterson, settling for a field goal. 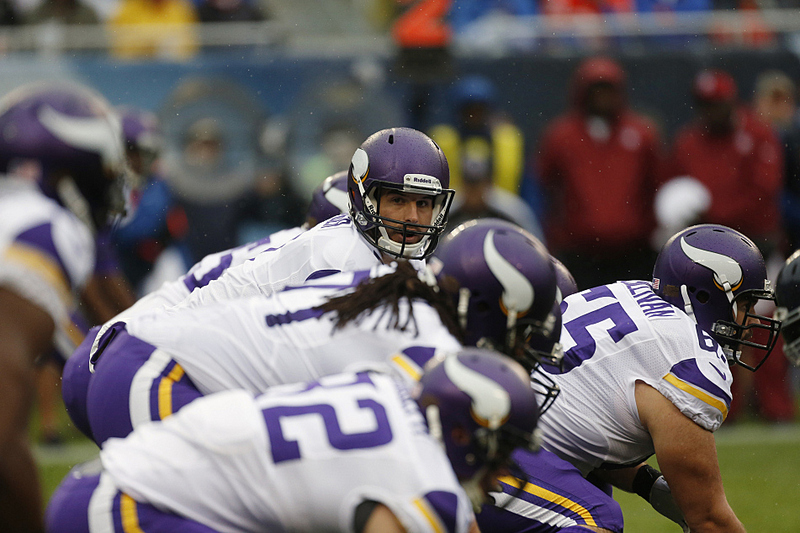 It extended the Vikings lead to 30-24, but put the ball in the Bears' hands with 3:15 left. Could we have been more creative from the goal line? Absolutely, and given the way Christian Ponder threw the ball in the fourth quarter, we needed to at least take a shot at the end zone. If we fail, the opportunity to kick a field goal is available and we settle for three. All I'm saying is give the offense a shot, especially when the group was clicking as the game ended. There won't be many opportunities when Ponder is "red-hot" and this was one of these moments. Was there a single person in the audience that didn't believe Peterson would be awarded the hand off? All I'm asking for is creativity from a schematic standpoint and each and every game it seems like a broken record. Despite all of the issues we've faced, I continue to believe the Vikings had the opportunity to win both games. That is what continues to bother me the most. The Lions awarded the Vikings opportunities off of four terrible mistakes and the Vikings still couldn't execute in week one. Today, we lost a game in which we recorded four takeaways, along with a defensive and special teams touchdown. I'm still confused, but ultimately the game was presented to the Vikings on 3rd and goal, just yards away from a touchdown. Christian Ponder struggled early in the game and threw a telegraphed interception to Bears cornerback Tim Jennings before halftime. After this moment, he calmed nicely and orchestrated 4 huge drives late in the first half and throughout the second stanza. The great thing to see was connections with Greg Jennings and Kyle Rudolph. Jennings made three very difficult catches with on-charging defensive backs breathing down his neck. Rudolph was found in the red zone for the first time this year and Ponder seemed more comfortable. He was placed in better situations and played much better in the shotgun and pistol formations. Ponder had more time to throw in this instance and didn't have to roll any direction when he took the snap. This opened the lanes for Adrian Peterson and allowed him to rush for over 100 yards on the day. The offensive line struggled early, but much like Ponder, they redeemed themselves in protection and run blocking in the second half. All things considered, if the team is going to be successful, the offensive line needs to play well from the start of the game. Christian Ponder put the team in a position to win, which is all you can ask for from our offense. Nonetheless, the defense was placed in a situation that never should have happened and it was completely preventable. Players like Jared Allen and Harrison Smith played hard until the very last whistle of the game. Allen recorded six tackles, a sack, and a forced fumble in Sunday's game. Smith recorded a huge interception near the end of the game and was critical in run support. Jared Allen was very disappointed after the game and felt the defense needed to step up, especially when the offense was playing very well. The play of his counterparts didn't improve the Vikings chances of winning the game and it was a similar trend last week versus Detroit. The linebackers were a liability the entire game and were at the foot of many huge gains the Bears delivered on offense. Marvin Mitchell was out of position twice on defense, but when Desmond Bishop was awarded an opportunity he missed a key tackle on the goal line. Chad Greenway was slow in pursuit today and has been a huge disappointment in two games this season. He looks a step slow and I'm wondering if the game is taking its tole on him. Last season, he was one of the pivotal keys to the Vikings defensive success and single-handedly dominated games last year. Finally, Erin Henderson was out of position on multiple occasions and has proven why he was questioned as a leader in the middle of the defense this off season. He was wandering aimlessly at times and was trailing behind Martellus Bennett all day long. This group was highly regarded in the off season and now they are failing to yield positive results. Until this group improves their play, it will put a big strain on the secondary and the overall results of the defense. Finally, the secondary played well at times, but Chris Cook was awful down the stretch. He missed several critical tackles and was toasted one-on-one during the game-winning touchdown to Martellus Bennett. He should have had help over the top, but Coach Frazier indicated he could have been at fault for a poor call on that last play. "There was a different strategy we could have used (in the 2 minute drill) and that comes down to me," Frazier explained. To add, Cook missed multiple tackles, which provided Matt Forte extra yardage at the end of the game on Sunday. When asked for comment by the media, Cook denied the request and was very vocal with Vikings PR member Tom West. "I told you I’m not talking to (media). They’re going to have to fine me. I don’t have nothin’ to say," Cook stated. With the attitude Cook is displaying and the lackluster production that has stemmed since the beginning of his career, this all is very concerning. If he can't step up as a leader, this will be his last season in Minnesota. The balance of the secondary played rather well, especially players like Josh Robinson and Xavier Rhodes. Rhodes made a brilliant tip of a Cutler pass near the end of the game and has stepped up as needed this season for the Vikings. From a special teams standpoint, the Vikings kick coverage team was a huge liability the entire day. They allowed a previous Vikings killer in Devin Hester to absolutely manhandle the coverage team. Hester broke his own franchise record for single-game kickoff return yards with 249. This was a crucial stat in the game, especially because the Bears were awarded great field position on a frequent basis. On the bright side, Jeff Locke improved today and was great at plopping balls inside the twenty. He increased his average to 56.4 yards on just three punts and booted a long of 65 yards. This is very encouraging considering the weather elements and it proves Locke has the mental resolve to fix issues. I like the things I saw from him today and ultimately the bigger concern was justified on the kick coverage team, which certainly will be addressed by coach Mike Priefer this week. To close, after a 78-yard Adrian Peterson touchdown on the first play last week and a 105-yard kick return touchdown for Cordarrelle Patterson today, the Vikings have started quickly and faded fast. As I discussed, this week was an improvement in many areas, but I still want to see better decisions from our coaching staff. Along with that, the linebackers need to play better on defense and that in itself will fix more issues on the defense. Overall, both of these games were crucial and with that, both of them were winnable. The Vikings face a 0-2 overall record, but the bigger issue is facing a steep hole in the division. The Vikings haven't witnessed Green Bay yet and have a brutal schedule down the main stretch of the season. Along with that, no NFL team has recovered from 0-2 to make the playoffs in last the four years. The Dolphins, Chargers and the 2008 Vikings were the last to accomplish this feat. The Vikings need to put the pieces together quickly, or the puzzle may blow into the distance, if it hasn't already.